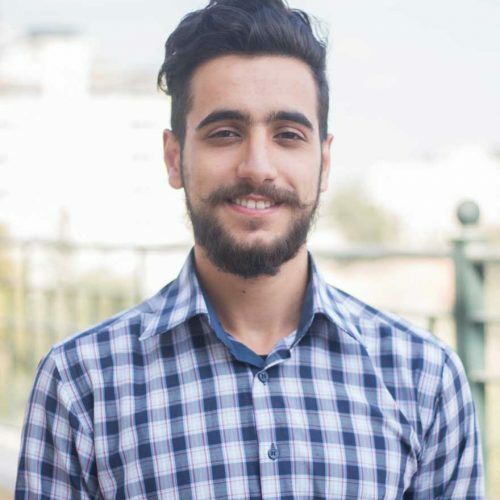 I’m a Marketing student in QOU in my third year, and currently working in the online marketing field in three Palestinian startups. My passion has always been to motivate people around me and to a role model for Palestinian youth. I’ve received the opportunity to be a fellow in VIP.Fund through its’ social publishing program, and I couldn’t waste such an opportunity. Through in this amazing experience in this program, I was able to visit all marketing aspects from coming up with crazy ideas, to writing specific strategies, and I’ve also tested my leadership skills by leading the marketing team in the program. Through this program, I got introduced to amazing people that were brought up by VIP.Fund as guest speakers to help by telling us their success stories, and sharing some of the great experience they have. VIP.Fund is giving the students such a great opportunity by giving them a portal between learning from books and gaining experience from working in the fields that they like. All of this gave me the push to go out there, fulfil my dream and do my part in the community as a young man who wants grow, build, and help.